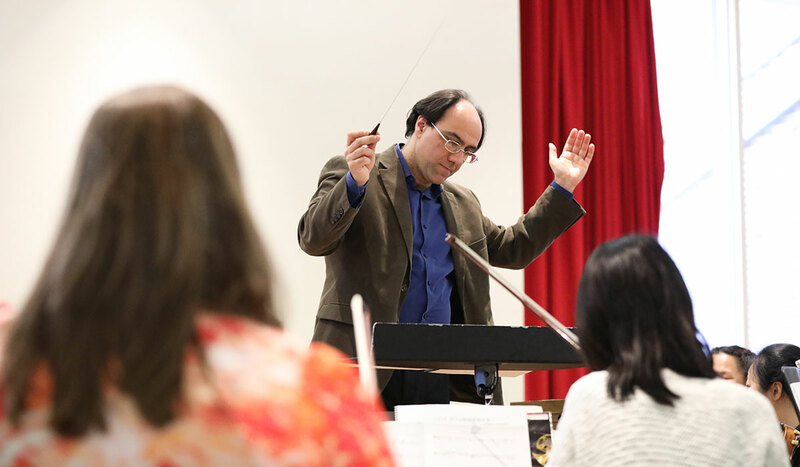 Simeone Tartaglione, clinical assistant director of conducting, has been appointed principal conductor of the Pro Arte Chamber Orchestra of Greater Washington (PACO). Tartaglione is scheduled to make his debut with the orchestra on Nov. 11 when he will conduct “The Romantics,” featuring Beethoven’s Symphony No. 5, at United Christian Parish in Reston, Va.
Tartaglione, who is also conductor of the CUA Symphony Orchestra, serves as music director of the Delaware Youth Symphony Orchestra; Core Orchestral Department head and piano instructor at the Music School of Delaware in Wilmington; conductor of the Maryland Classic Youth Orchestras Symphony at Strathmore Hall; artistic director and conductor of St. Anthony's Italian Festival; and music director of the Newark (Delaware) Symphony Orchestra. According to its website, the mission of the Pro Arte Chamber Orchestra of Greater Washington (PACO) is to create intimate, inspirational musical experiences throughout the Washington, D.C., area by engaging the community through vibrant music making by the orchestra and chamber ensembles.